While Babymetal might not have a notable level of recognition in the United States, the popular Japanese metal idol band is huge overseas. 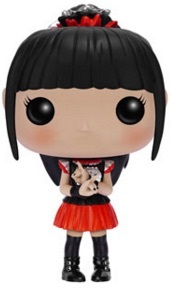 2015 Funko Pop Babymetal vinyl figures includes the entire band with a trio of options. Formed in 2010, the group of teenage girls saw their first big break in 2013 and their debut album, Babymetal, came in 2014. 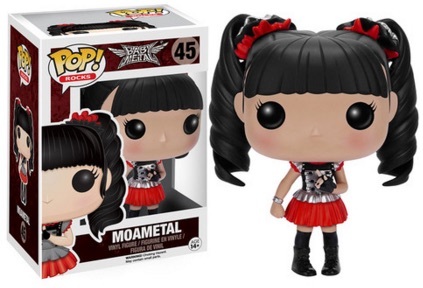 The set features all three members, including Su-Metal (Suzuka Nakamota), Yuimetal (Yui Mizuno) and Moametal (Moa Kikuchi). Like many of the Pop! figures, the figures all look very much alike, but can be distinguished by the hairstyles. 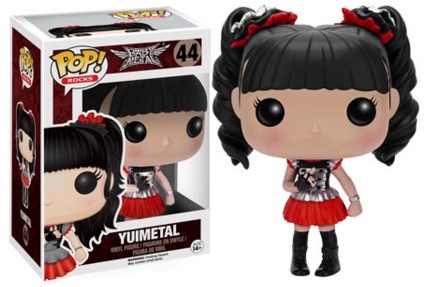 Yuimetal and Moametal are particularly similar, with only subtle pose and ponytail differences. 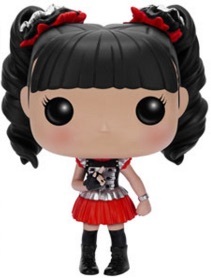 The three-figure release is numbered as part of the Pop! Rocks line. Each figures stands approximately 3 3/4" tall. Although these are the first Pop! 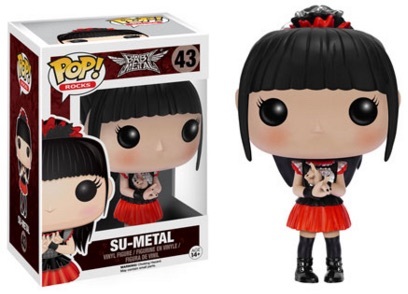 figures for Babymetal, Funko previously released a limited Pop! Tees t-shirt for the band.